Before we indulged in the feast served before us, Chef Anton demonstrated the technical way of enjoying Shabu-shabu from the perspective of a culinary expert. Of course the easier way is to just dump everything into the broth. I mean, that's what most people would do. Meat for shabu-shabu is not seasoned or marinated that is why it is important to make a good sauce to give it a good flavor. First, you must separate the egg yolk from the egg white. Mix the egg yolk with the house blended soy sauce and you can dump the egg white into the soup broth. Mix all or some of the condiments and spices into the sauce according to your preference. You may choose to dump what remains of the spices and condiments into the soup broth for flavoring. Lastly, mix in the saté sauce into your shabu-shabu sauce. Mix well and tadaaa! You now have your sauce. 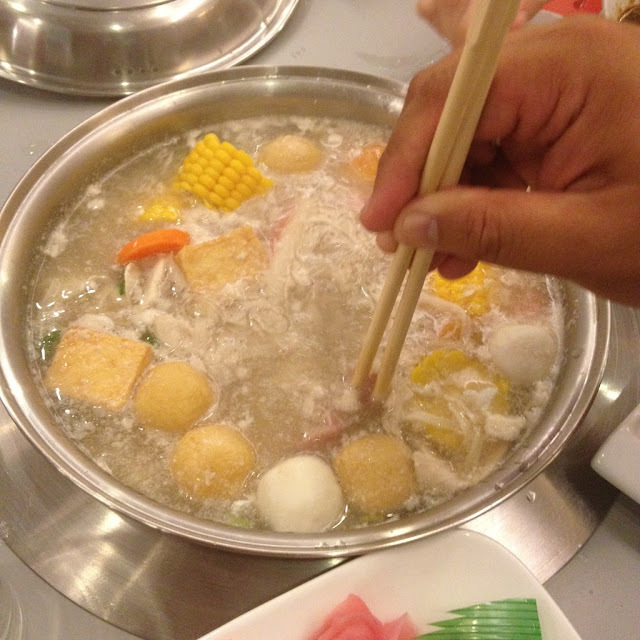 The basic element of shabu-shabu is soup broth where all the ingredients will later be cooked in. The burner at Shabu Way is not too complicated. You have the power button on the leftmost part then two buttons to the right of the power button to control the 5-level temperature of the burner. To be on the safe side, ask for assistance from the restaurant staff. The goal is to bring the soup broth to a boil before you start cooking your meat and vegetables. Cooking the vegetables should be easy. Some of the vegetables may already be dumped in specially the ones that take a long time to cook such as carrots and yam (gabi). The green leafy vegetables such as Chinese pechay and pechay won't take long to cook so make sure you don't leave it too long in the hot soup broth, otherwise you will overcook it. For the meat, be sure to cook the chicken first and leave it longer in the boiling soup broth for hygiene and health reasons. The pork and beef which are cut in bacon-thin slices will normally be cooked in a matter of seconds by swishing it in the boiling soup broth. In fact, this is where shabu-shabu gets its name. Shabu means swish in the Japanese language, hence shabu-shabu literally means to swish-swish the thinly-sliced piece of meat on the boiling soup broth. 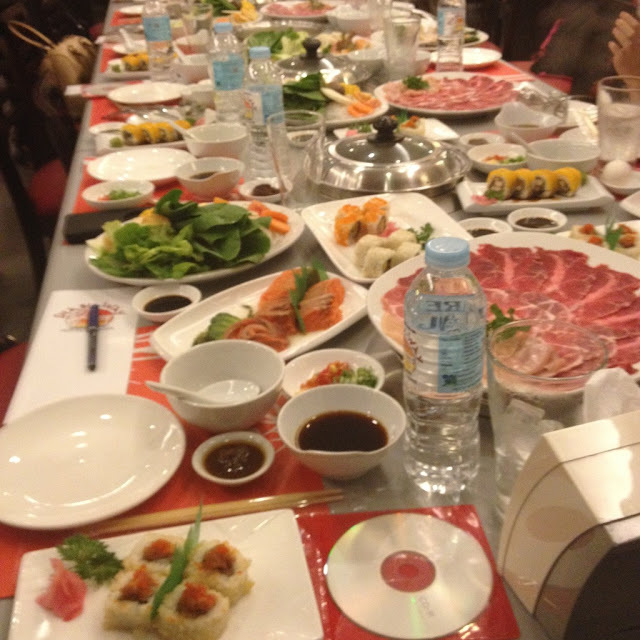 You can choose which platter to order at Shabu Way Restaurant. 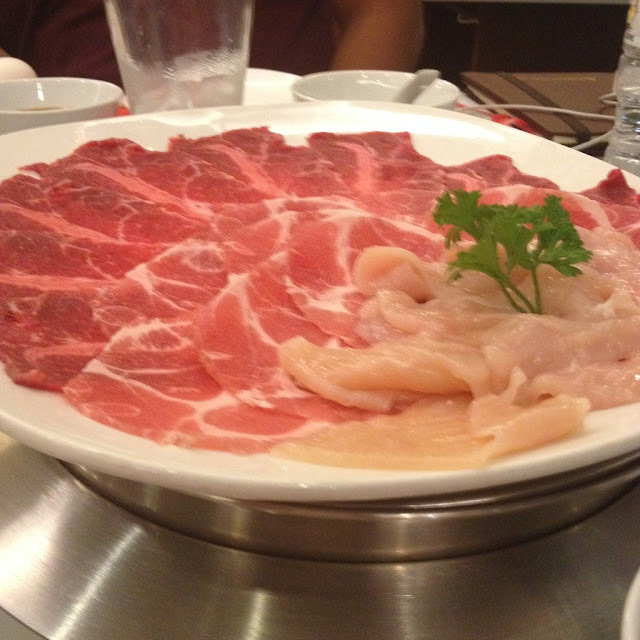 Shabu Way's pride and glory is it's special platter set of 100% U.S. Angus beef. Or when you want the best beef cut, try the Ribeye set. If you only want pork or chicken, you can order either the pork platter set or the chicken platter set. Those who want to mix it up may want the mixed meat set or the monster meat set. Seafood lovers may have the seafood platter set or the seafood supreme set. 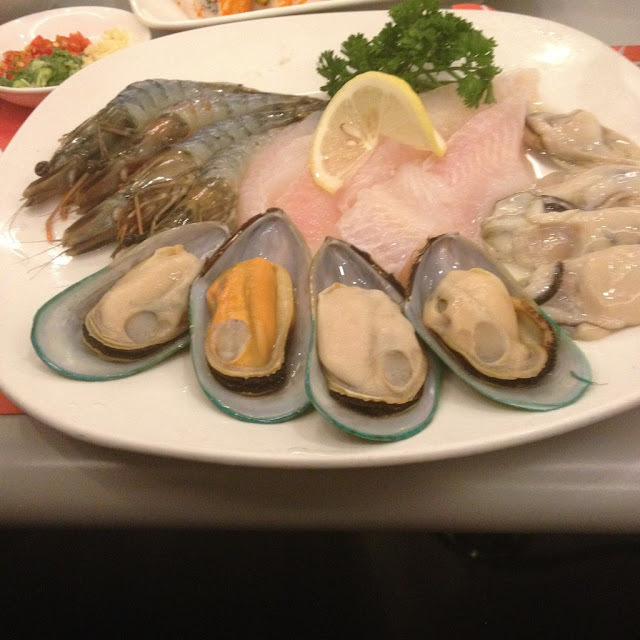 The seafood supreme set comes with prawns, fish fillet, and fresh oysters. All the sets at Shabu Way Restaurant comes with a veggie platter set (which can be a separate order in itself), a cup of rice (or two for the monster meat set), a choice of sate, ponzu or goma sauce, an egg, and condiments and spices. The veggie platter comes with sweet corn, carrots, mushroom, tomatoes, yam (gabi), pechay, Chinese pechay, vermicelli noodles, udon noodles, kani, fish ball, squid ball, tofu, and lobster ball. 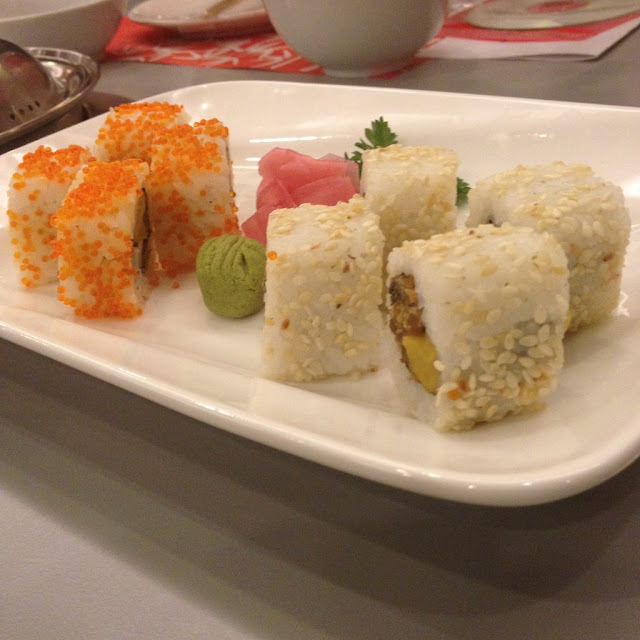 Being a Japanese-themed restaurant, Shabu Way serves a variety of sushi rolls. We were served mango salmon rolls, spicy tuna maki, California maki, and salmon skin rolls. 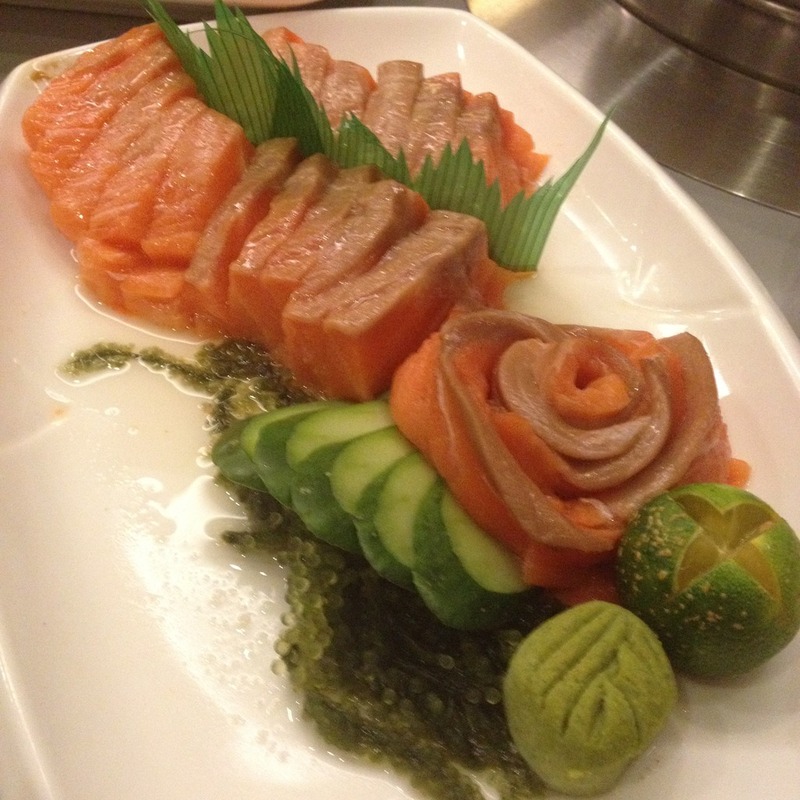 We were also served tuna sashimi and salmon sashimi. Also available are tuna sushi, salmon sushi, and kani mango maki. Sizzling plates on the menu at Shabu Way Restaurant are pork, chicken, seafood, beef, salmon belly, beef sukiyaki, pork cutlets, and grilled pork. There are five kinds of ramen available at Shabu Way Restaurant: shoyu ramen, meatball ramen, mabo tofu ramen, tanmen ramen, and buta kimchi ramen. From the ala carte menu, we were served gyoza and fried fish. The fried fish was fried cream dory fillet served with some vegetables and tabasaki sauce. 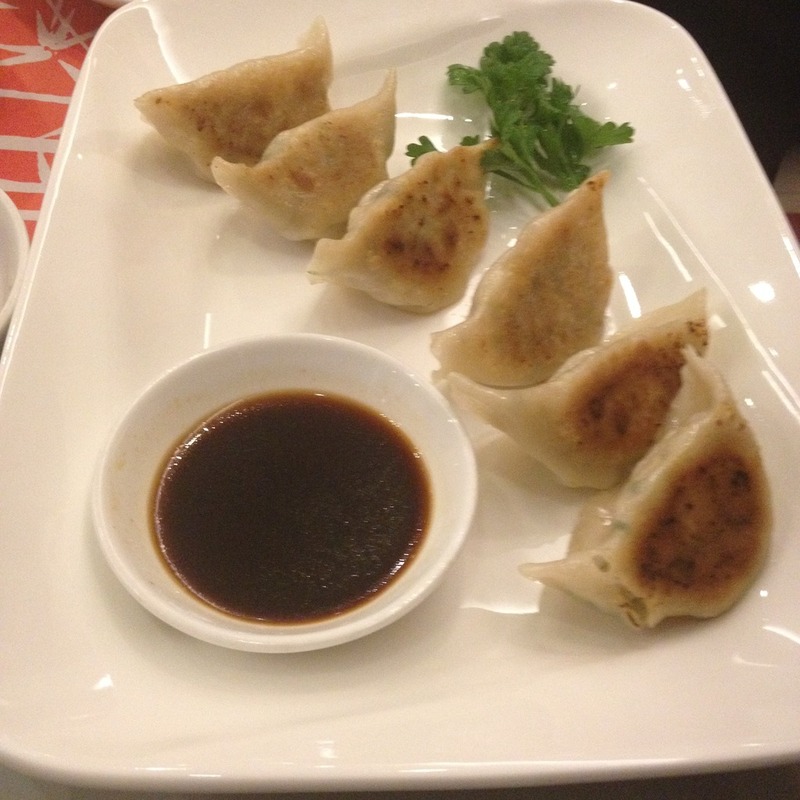 The gyoza is a serving of six pieces of vegetable and pork dumpling. Other items available on the ala carte menu are ribeye teppanyaki, crispy squid, fried chicken, salmon head, and ebi tempura. 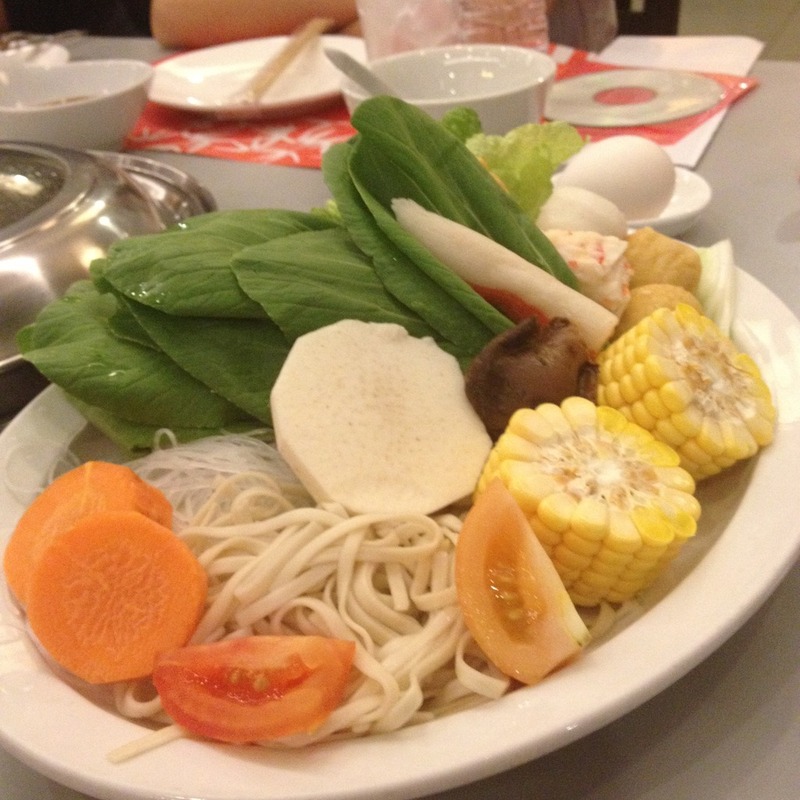 Shabu Way Restaurant has two branches in Metro Cebu. It's first branch was opened in 2009 at Parkmall in Mandaue City. Contact number for the Parkmall branch is +63 32 505 2598. Their second branch is at the 2nd floor of The Terraces in Ayala Center Cebu. It opened in 2011. Telephone number for the Ayala branch is +63 32 239 1231. What's your favorite set at Shabu Way Restaurant? Let us know in the comments section below.